Here is the link to the website: Natalie’s Website. 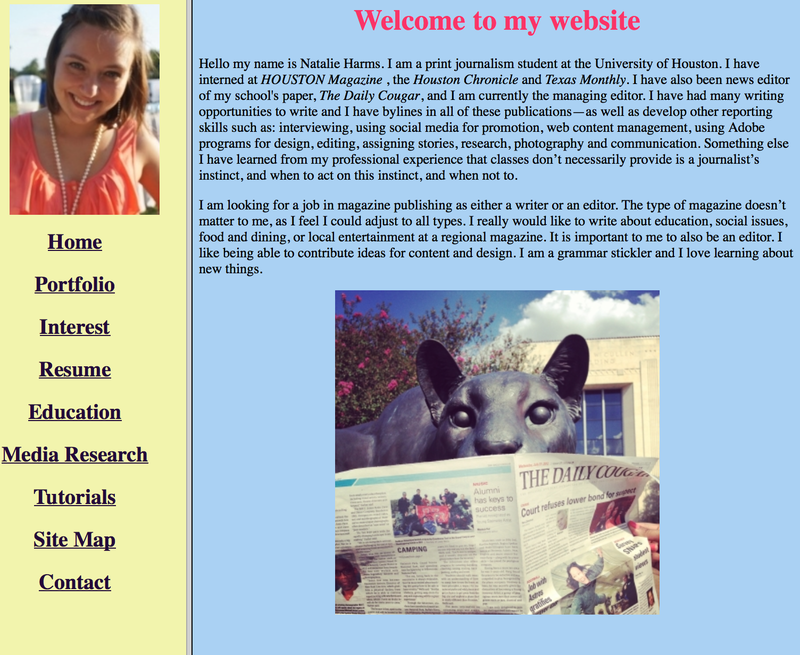 This entry was posted in Self Published and tagged freelance, HTML, Journalism, Natalie Harms, The University of Houston, UH, Web design, website, writer. Bookmark the permalink.